Whether you want to sell your business now, next year, a decade from now, or intend to pass the business on to your next family generation, you need to build your business for maximum value. Your financial security from the business and lifestyle beyond the business will depend upon it. As an entrepreneur, your largest most valuable asset most likely is, or will be, your business. The sooner you know what the value and sellability of your business is, and what are the primary drivers for maximizing the value of your business, the better. Now there is a simple, but yet very informative, interactive way for you to get an assessment, which provides answers to these questions for you specifically. 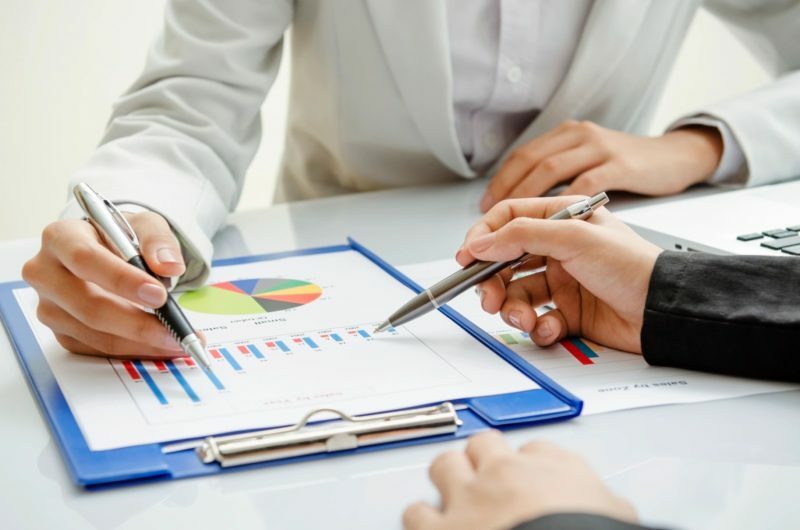 Based upon extensive research and input from thousands of entrepreneurs, combined with your particular answers to an assessment questionnaire, there is a scoring system available, which can measure quantitatively and provide you a customized, comprehensive value assessment of your business. From it, you’ll know your relative business Value Builder score out of 100 along with learning the key drivers proven to increase the value of your business. 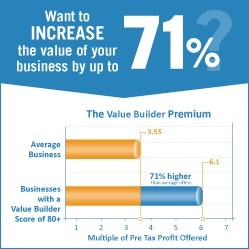 If you derive a Value Builder score of 80 or above, your business worth would be deemed to be 71% greater than that of the average business. Less than 80, you’ve got some work to do, and need to develop a strategic plan of action for increasing your business value. Please CLICK HERE to contact me directly for a confidential, comprehensive Value Builder Assessment Questionnaire, and find out how you can know what is your particular Value Builder Score as well as what are the primary drivers for building the value and sellability of your business.